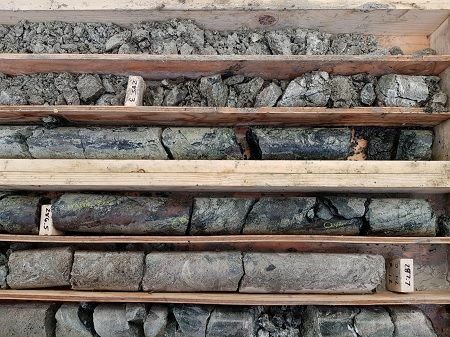 Within 12 months of consolidating its Alaska Range project, PolarX has unveiled a high-grade maiden polymetallic resource at Zackly and is looking to further expand the deposit – and the project’s porphyry potential. Managing director Frazer Tabeart outlines progress to date and the path ahead for RESOURCEStocks. RESOURCEStocks: The recent maiden Zackly copper-gold-silver resource has taken the global Alaska Range resource to 127,000 tonnes of copper, 213,000 ounces of gold and 1.5Moz of silver, at a 0.5% copper cut-off grade. Why do you describe Zackly as the "tip of the iceberg"? Frazer Tabeart: Zackly is a typical skarn deposit of the style which is often associated with a much larger porphyry copper-gold system. In the same belt a few hundred kilometres to the west you've got Pebble, one of the world's biggest undeveloped porphyry copper and gold projects with just under 11 billion tonnes of mineralisation. We know we're in the right style of rocks, the right age of rocks and in a mineralised belt that extends from Pebble in the west through Alaska into the Yukon and British Columbia and which in fact is part of Pacific Rim of Fire that extends all way down through the US and South America. The empirical evidence from three or four different data sets - including our geophysical and geochemical data - is all pointing to the possibility of a much larger system and we see a number of anomalies that are entirely consistent with a porphyry copper style of deposit. RS: You've recently announced visible copper and gold mineralisation both to the east and 100m below the Zackly resource, what is the significance of these results? FT: Particularly as we move further to the east, we've announced three important results from new drill holes, one of which hit mineralisation 100m below the current resource; this tells us that Zackly itself is going to get deeper. Then 300-350m to the east we had some visible gold and strong copper mineralisation in a few holes which suggests Zackly will expand to the east as well. And then 850m east of the known resource, we hit a zone with 55m of downhole thickness showing copper oxides in interesting rocks with quite a lot of quartz veining. The increase of quartz veining and the presence of copper might be giving us a vector to the south-east along a major structure towards one of the geophysical anomalies that we think represents a porphyry. So, we are getting a vector in that direction meaning the drilling's been good for two reasons: it's shown that Zackly is likely to increase in size and then it's also giving us this vector towards the south-east into one of our porphyry targets. RS: PolarX has just closed a heavily oversubscribed placement raising A$3.9 million at 11c per share to accelerate exploration at the Mars and Zackly targets. What do you put the support down to? FT: It was very encouraging, and it shows what we typically see in projects and companies that have some seasonality about their exploration: investor interest does start to pick up when you get back out in the field and start drilling. Our recent drilling results have certainly been well received, which has helped build credibility. It was also very encouraging to see an increased level of support this year, not just from institutions but also from retail investors particularly in Australia which is something we haven't seen in the past. RS: What are your top exploration priorities and why? FT: There are two goals we want to achieve by the end of the year; one is to finish the current drilling programme at Zackly to make sure that we can demonstrate it is going to get larger in size. However, the ultimate goal is to be able to drill test one or two of the porphyry targets, we'd like to do that this year if possible. We do have to do additional work on the ground to get those targets ready for drilling. A lot of the funds we've raised will be used for ground geophysics, airborne geophysics and geological mapping with a view to getting our Mars and Zackly SE porphyry targets to a drill-ready stage, and then subject to where we sit in the exploration season, if the time and weather is in our favour, we'd like to get an initial round of scout drilling into those targets. It won't be a full programme but the goal is to drill two or three holes into each target and understand a lot more about the geology, at Zackly SE in particular. It's covered by about 15-20m of transported cover and what we do know is that it's got an interesting magnetic signature. It's in a good structural location, it sits immediately along strike from the skarn mineralisation at Zackly, so it ticks a lot of boxes, but it would be nice to get some drilling into it to actually understand the geology. If things went well, we'd drill straight into an orebody. Second prize would be getting alteration and rocks that are consistent with the style of mineralisation we're chasing. RS: How are you managing the logistics of being an Australian company with an Alaskan project? FT: Millrock Resources Inc. [which sold part of the Alaska Range project to PolarX in 2017] gives us that ability. They're a Canadian listed explorer and their forte is exploration and project generation. They've been based in Anchorage for over 25 years and know how to operate and who to operate with, so they're our eyes and ears in-country in terms of selection of contractors and then management of field programmes and to date that's worked extremely well. We're running two drill rigs in double shifts at the moment, with helicopter support, a full camp and geological and logistics support staff, and it's all being managed for us by Millrock. We pay them a fee for management and it works out very well for us because without their assistance it would've cost us a lot more in time and money to reach this stage. RS: In terms of permitting projects in Alaska, the problems encountered by the Pebble project spring to mind. What has been your experience so far in the jurisdiction? FT: We've got a very different set of circumstances to Pebble, obviously we're in the exploration stage and lower profile, but more importantly, looking forward we obviously plan for success and we want to know that permitting a mine is achievable. All our mining claims are on state-owned land, no one lives there, there are no spawning salmon in the rivers, no bald eagles because there are no trees and because we're north of the Denali Highway it's a non-motorised hunting area. So even when you do have hunters during the limited hunting season, there are fewer people. We've built a good relationship with a couple of the local lodge owners so they're our eyes and ears in the local community, and our first contact with stakeholder groups. Basically, we've got a much easier and less sensitive environment in which to operate. RS: What are your development goals for Zackly? The first thing we've got to do is increase the size of the resource, in our view. The grade is pretty good, when we look at either the copper-equivalent or gold-equivalent grades, but we believe the tonnages are too small at the moment to warrant the capital investment in building a mine. We also need to do some metallurgical testwork this year to understand what the process flowsheet would look like and then we can work out what type of project we'd build and how big that would need to be, to be economically viable. Our gut feel is that it needs to be two to three times the size of what it currently is, which is why we're doing the current drilling programme. Another goal is to kick off a formal study later this year, initially just a scoping study to see exactly what we would need to be economically viable. If that's something that is readily achievable, we would then finish any outstanding drilling next season so by the end of next year, we have a project that is sound from an economic point of view. And that underwrites shareholder value for people who've invested to date. At the same time, we'd also like to test these porphyries and if one of them does come in then there's a potential re-rating in the company if we find something of substantial size. And that might generate a lot of interest from strategic partners who want to come in with us at the corporate level or the project level and that's certainly an avenue we would look to, subject to getting the right results from that drilling programme. RS: What can investors expect to hear in terms of newsflow in the coming months? FT: We haven't yet received any assays - we've been fortunate to have seen a lot of visible gold and copper minerals this year and we should see assays start to come through in the next two weeks. We committed to a 5,000m programme at Zackly and our goal is to complete that programme and then also undertake some mapping and ground geophysics at Mars and Zackly SE, so assuming we can get contractors lined up, there should be news flow coming from those programmes later this season and ideally some drilling results from either one or both of those targets right at the end of the season. So there really should be quite strong news flow for the next six months. Then early next year there'll be some metallurgical test work results, early scoping study results, so there really should be quite strong news flow right until we start talking-up the 2019 field programme. RS: How much impact does seasonality have on exploration at the project? FT: It's not as limited as some people like to paint. We did drill into October last year and I don't see why we couldn't expect to this year unless we had a particularly early onset of winter. It's not normally snow that causes any issues - if you start getting subzero temperatures during the day and you can't keep the water pipelines flowing that's really the only issue. You're able to start up in May most years, so it's usually a 6-7 month field season. And it does give us a little bit of time over winter to gather our thought and run through our data with a fine-tooth comb and set out what we want to achieve for the next year. RS: A year on from consolidating the Alaska Range project, how do you rate the company's progress? FT: When we put this together we had a number of goals. The first was to show that Zackly was JORC compliant, which we've done. The next one was to grow it and I think the current drilling programme is showing every likelihood we'll tick that box. And then we wanted to test a number of the porphyry targets we always thought were going to be there and as we've put different data sets together, we've started to get more clarity as to where they're going to be. I think we've ticked pretty much every box we wanted to and then some. The way the porphyry story has come together in particular has been very pleasing and obviously we want to convert that into something tangible, rather than just pretty images and speculation and that's why this last round of funding is important because it gives us the ability to get that programme underway. We're doing good old-fashioned exploration in a really well-endowed area and most of the early risk is gone. Now it's just a question of sensible application of shareholder funds to realise those goals, get the project to an economic stage and do our job properly.